Inspired by the simplistic shapes of Scandinavian design, the Galaxy Lamp by Porta Romana combines classic shapes with modern finishes. Petite in size yet striking in looks, this designer light features a milky white glass base overlaid with swirls of soft greys and deep charcoals. The painterly brush strokes create random patterns resembling the chaos of far-away galaxies. 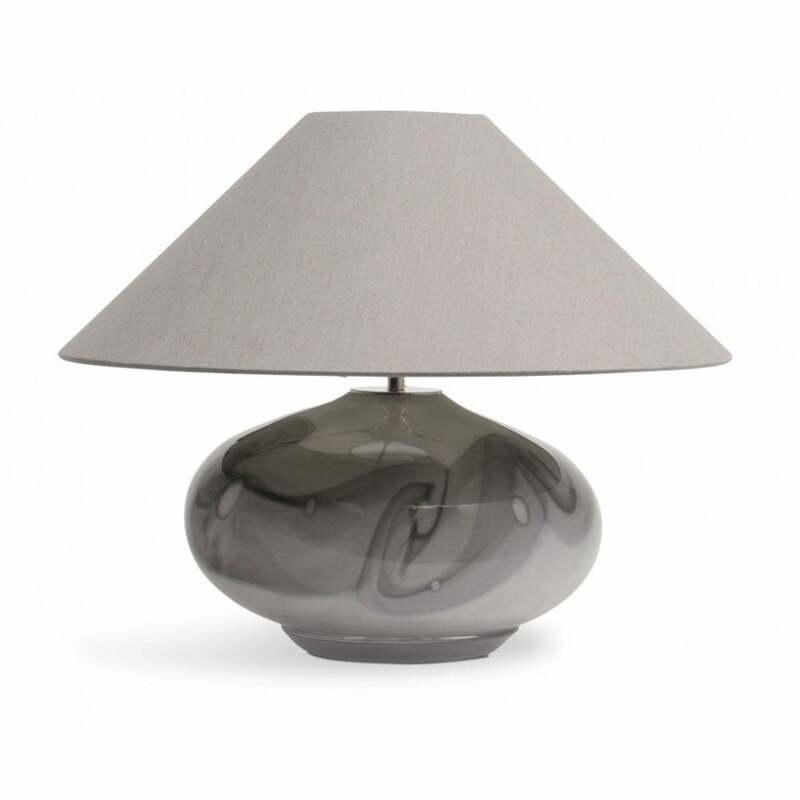 The hand-blown glass is finished with nickel plated brass for a cool and contemporary feel. Complete with the Coolie Shade to enhance and elevate this luxury lamp. Make an enquiry for more information.